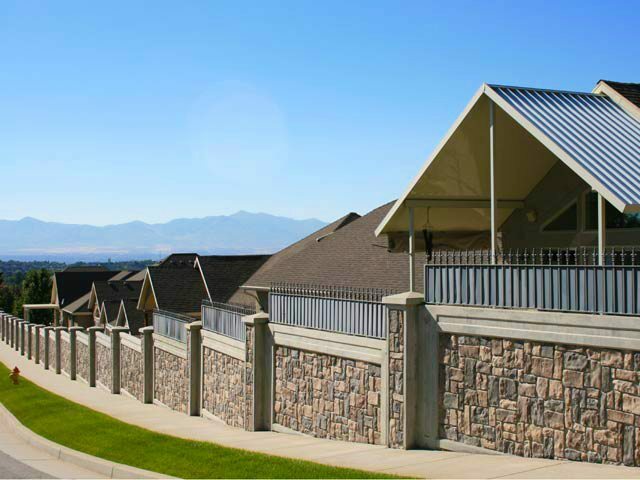 Homeowners Association Fencing surrounds residential developments such as gated residential communities, non-gated neighborhoods, condominiums, and apartments. StoneTree® Fence Walls provide privacy, security and the long-lasting, maintenance-free upper class allure that drives residency. When you useStoneTree® Fence Walls for your next HOA fence or replacement fence project, you will benefit from Attractive Facades, Custom Textures, Logos and Colors, Noise Reduction and Long-Term, Low-Maintenance enjoyment. These are just a few! 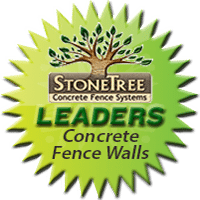 Be sure to review all StoneTree® Features and Benefits to learn why StoneTree® Fence Walls make the best Homeowner Association Fencing in the industry. HOA Fence Wall sections are vertically cast, resulting in a formed, highly-defined texture of a natural-looking block, stone or brick pattern formed on BOTH sides of the fence wall, providing attractive views from all angles. Many Homeowner Associations want fences enclosing their property to be decorative, and to have textures, patterns, custom logos, colors or other designs which fit the character of the residential development. StoneTree® Homeowners Association Fencing acts as a sound wall noise barrier against undesirable noises such as automobile and sidewalk traffic, noisy neighbors, etc.